For a few years now, the general rule for online content has been the shorter the better. Video content has been held particularly accountable to this belief with some people dictating that videos created for online viewing should never be longer than two minutes. This belief was further enforced by platforms like Twitter and Instagram, which restricted videos to a single minute or shorter. The team here at Hurrdat Films has always disagreed with this opinion, and we’ve felt that video content with compelling subjects, style, and story is always worth watching—regardless of length. With a recent announcement, we may have validation from the largest social media platform. 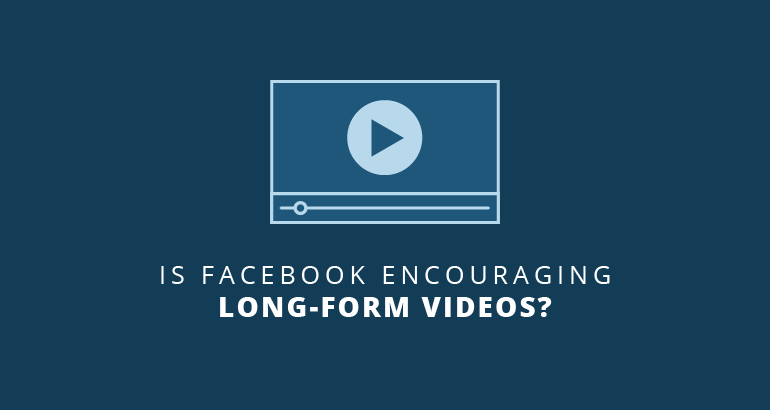 Facebook announced last month in a blog post that video content with longer runtimes will be prioritized in its news feed. The algorithm for picking what videos are fed to users will now put more emphasis on long-form videos. This means that the viewing-completion percentage will be more heavily weighted the longer the video is. These videos will be ranked higher in news feeds, too. This is good news for content producers, as it will give a slight reward for focusing on making compelling content, rather than cutting content down to a timecode. Facebook also has financial reasons to implement this change, as they’ve started experimenting with mid-video ads. Unlike YouTube, which usually places the advertiser’s video at the beginning of a selected video, Facebook ads appear after the 20-second mark, but only if the video is over 90 seconds long. This means that videos under 90 seconds can’t have mid-video ad. Facebook needs longer videos, so they can run more ads. The second reason is that Facebook is bringing a variety of shows, including scripted, unscripted, and sports programming to its platform. They want to become more of a destination for watching videos. Again, this will allow Facebook to place more ads in front of its 1.18 billion average daily active users. James Chramosta is video editor, colorist, and Director of Photography for Hurrdat Films. He is going on his tenth year making films with Director of Visual Storytelling Dan Napoli. James lives in Omaha with his wife Lacy, and their dog, Pepper.